The passionate foodie always keeps a passion for food to try out different flavors and get the new food experience. One day I was looking out for online food delivery and got a chance to explore the food website of FoodPanda.in . This website has wide range of network of ordering online food across the country. Talking about the website. It is organized and well maintained and ordering food is enjoyable and simple too. For ordering the food from the website, you just need to enter your city and location(area). Then you will get a list of restaurants in your near by location. Choose your favorite restaurant and off course the dish and then proceed to make payment. Within the given promised delivery time, your favorite dish will knock your door bell. I found foodpanda.in is one of the best online food ordering website as it has different cuisines like north Indian, south Indian, Chinese and varieties of desserts. 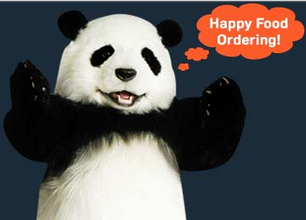 Foodpanda has many ongoing deals on food. The best way to grab their offer is to subscribe for their newsletter and receive the deals from all their top restaurants via e-mail. The fastest way you can order the food from Foodpanda is just by downloading the free FoodPanda App which is available on apple, android and windows phones. I was lucky to find this website and very eager to try their service. If your really looking out for the best online food website I will recommend you this website.